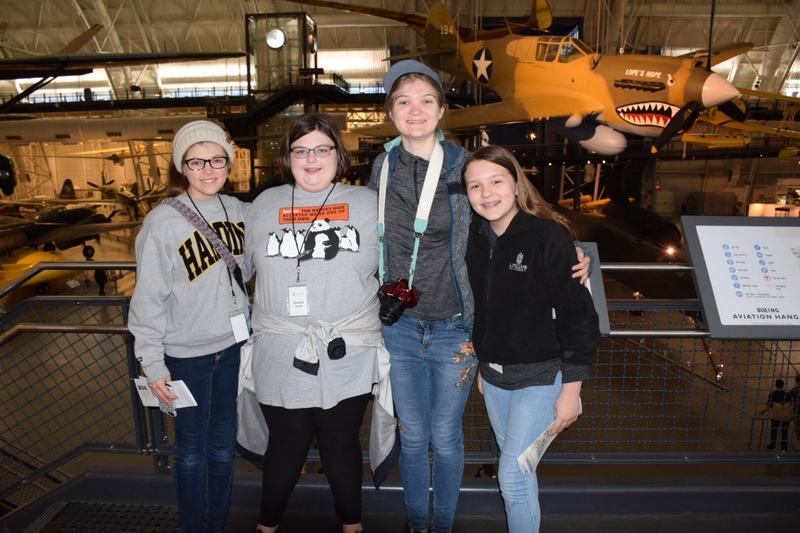 Our final day started off chilly and rainy, which resulted in a change of itinerary from the National Zoo to the Udvar-Hazy Center in Chantilly, Virginia (beside Dulles International Airport). This is a companion facility to the Smithsonian Air and Space Museum on the National Mall. As usual, we had a nice breakfast in the Tennessee Dining Room at the 4-H Center and then boarded the busses for Virginia. SR-71 Blackbird – this was a personal favorite as a kid and I vividly remember building a model of this beautiful jet. The SR-71 was the fastest jet propelled aircraft in history and was a staple of Cold War reconnaissance. On March 6, 1990, This particular plane set a speed record on its last flight from LA to Washington DC by completing the trip in 1 hour, 4 mins, 20 seconds. This equates to a speed of 2,124 mph. It was in service for 24 years. Enola Gay – this was the highlight of the museum for me. The Enola Gay was the B-29 Superfortress bomber that dropped the first atomic bomb (Little Boy) on Hiroshima, Japan on August 6, 1945. It was also the first bomber with pressurized compartments for the crew. Air France Concorde – the Concorde was the first supersonic commercial airliner which was in service from 1976 to 2003. Space Shuttle Discovery – this shuttle flew on 39 missions from 1981 to 2011 for a total of 365 total days in space. 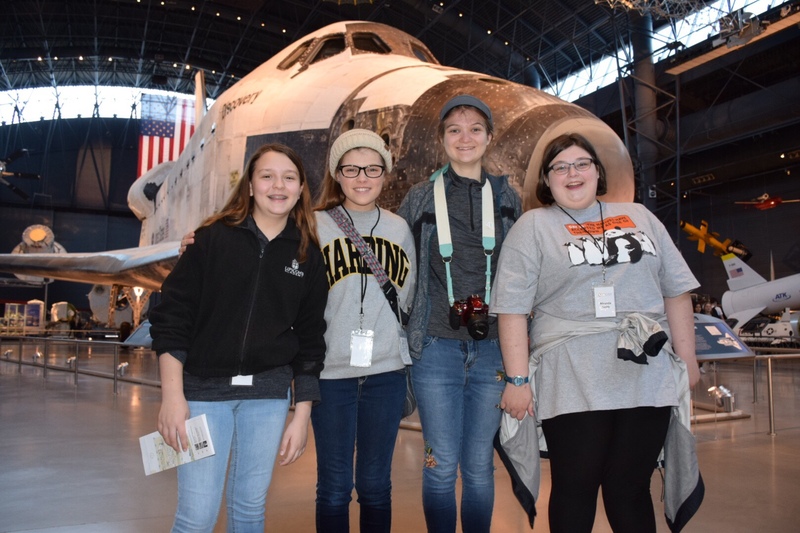 It feels like it has been a very long time since there have been shuttle missions, and I was surprised to learn that there have been a number of launches since Kate was born in 2004. Kate and I ended our visit by going to the 165′ tall observation tower, which overlooks Dulles. It is made like an air traffic control tower and you could listen to live air traffic control from Dulles. After leaving the Museum, we headed back to DC for lunch at Union Station, which was a bit chaotic. 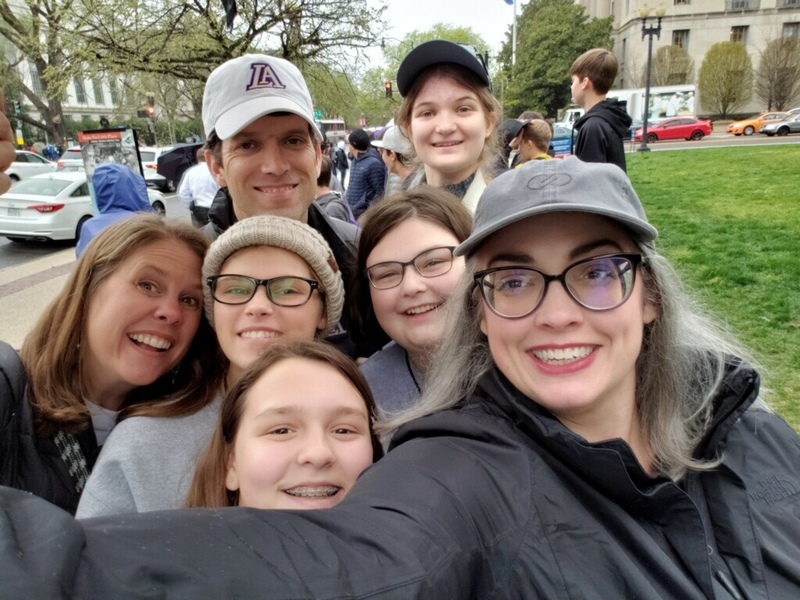 We then parked by the Lincoln Memorial and walked around the reflecting pool to visit the Vietnam Veterans Memorial, the World War II Memorial, and the Korean War Memorial. 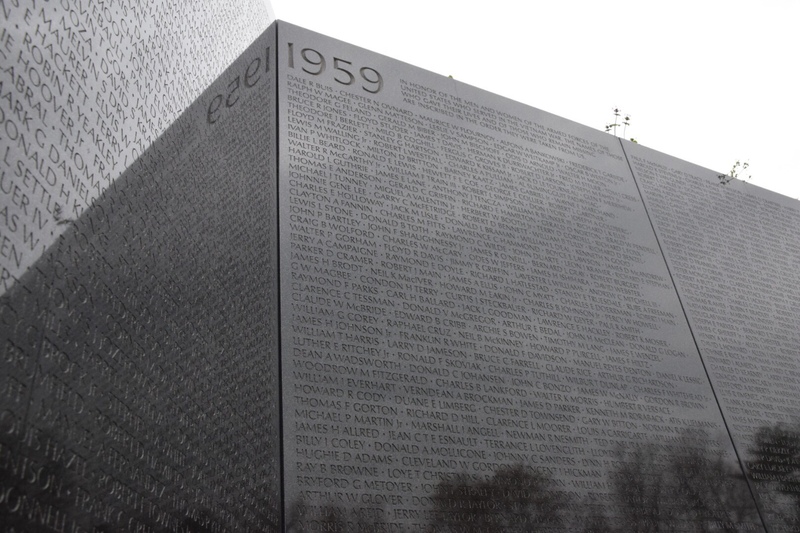 The wall at the Vietnam Veterans Memorial bears the names of 58,000 who were killed or lost in the war. The names are listed in chronological order beginning in 1955. There is a diamond beside the names of those who were killed and a cross beside those who are missing. This place has always been emotional for me, even though I don’t know a single name on the wall. I guess it’s because I know that each name is someone who sacrificed their life for my freedom. Two towers on the north and south sides of the site that represent the Atlantic and Pacific theaters. A Field of Gold Stars at the back of the site that sits between two waterfalls. 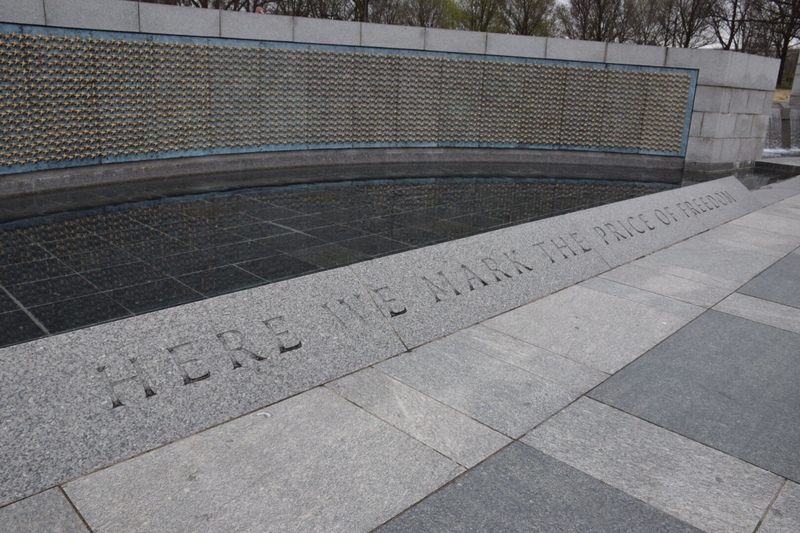 There are 4,048 stars, and each star represents 100 soldiers killed in the war. World War II was the second bloodiest war in US History behind the Civil War. Fifty-six granite pillars that celebrate the unprecedented unity of the nation during the war. Each state and territory from that period and the District of Columbia is represented by a pillar adorned with oak and wheat bronze wreaths and inscribed with its name; the pillars are arranged in the order of entry into the Union, alternating south to north across the plaza beginning adjacent to the Field of Gold Stars. I was glad to finally understand the significance of the symbols in the memorial. When I would travel to DC on business, I would frequently walk down to the memorial at night, and I never could figure it out. 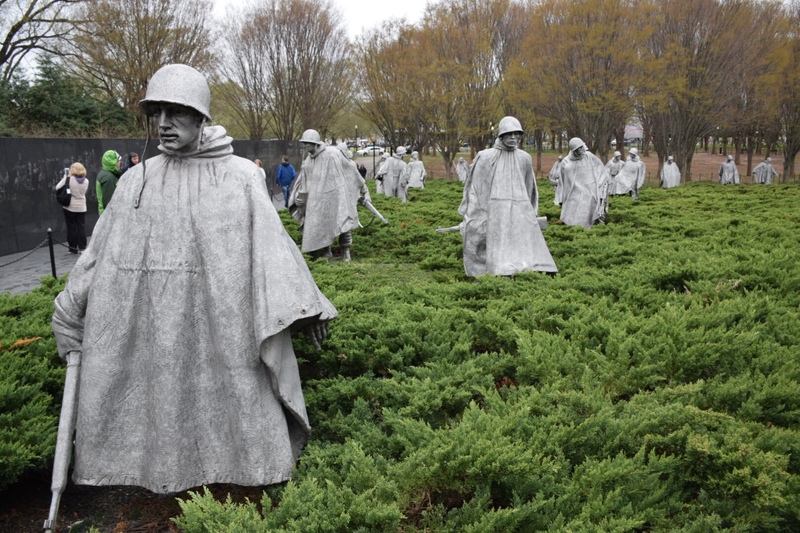 The Korean War Memorial is comprised of 19 stainless steel soldiers that are meant to represent an entire platoon. 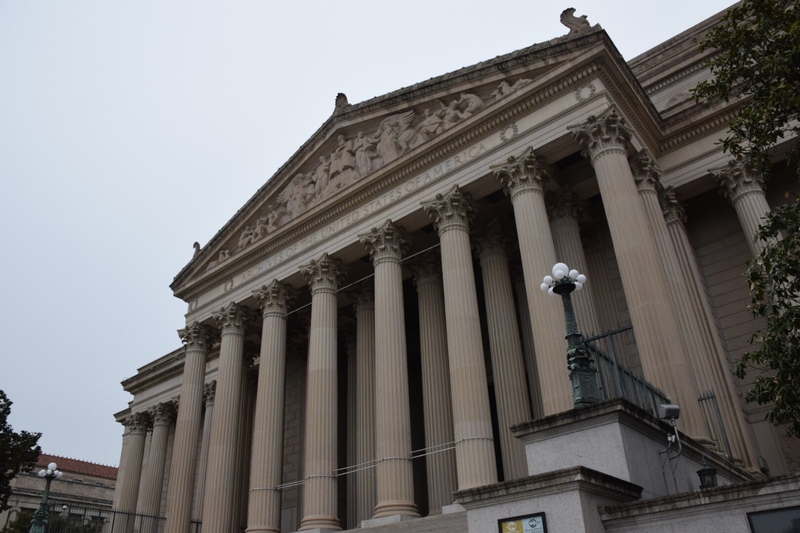 Before heading to the airport, we attempted to quickly stop by the National Archives and see our nation’s original documents. We made it in the building, but once inside, we found out that the wait to get into the Rotunda was almost an hour. We ended up spending a little time in the Public Vault and did get to see a document that was signed by both John Adams and George Washington. As we are now on the bus back to the airport, I’m quite exhausted but thrilled to have had the opportunity to accompany my daughter Kate on this trip. I know this will be something that I will treasure for the rest of my life. She really is a special daughter, and I love seeing the world through her eyes.